BROTHERS Under 8 player Izaya Walker hopes his first State of Origin bragging rights opportunity will come at this week's footy training session. But the rest of his team hope their life free of New South Wales series wins will not be tainted by a Queensland loss in tonight's game. Izaya, 7, has taken his father's direction in holding onto his Blues roots, despite having lived in Queensland since he was one-year-old. "It is because I was born there and I really like it," Izaya said. 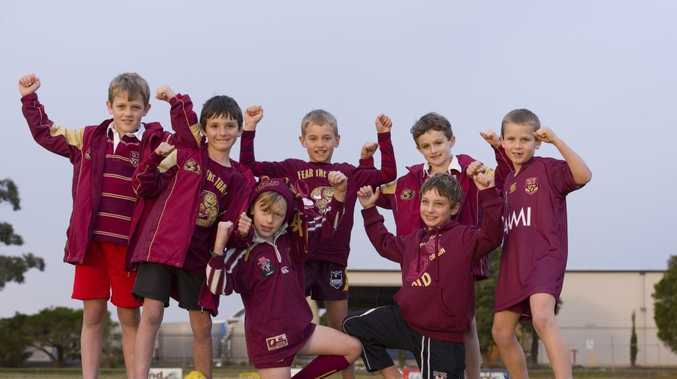 His team-mates, all aged either seven or eight, were vocal in their support for a Queensland win to send the series to a game three decider. Whether or not they get their wishes will be apparent after the final whistle of tonight's match.